According to Vedic Astrology Blue Sapphire represents the planet Saturn [ Shani ]. It’s a very effective Gemstone. It is said that if blue sapphire Gemstone gives good effects to wearer can achieve huge success in life. Is it true? If yes, so what’s the reason behind this? Let me tell you, Blue Sapphire is the Gemstone of Saturn or Shani Deva. It has all peculiarity of Saturn. According to Vedic Astrology Saturn relates to hard work and hard working people. It is wrong to be said that Saturn gives you any success without doing hard work. In-fact the people who can not do hard work can not get the good effects of Blue Sapphire, This Gemstone gives good effects to only Hard working people. If you are not afraid of hard work , you can wear Blue Sapphire to get the blessings of Shani Deva. But it is important to be read your horoscope by an experienced Astrologer before wearing Blue Sapphire.According to my experience very few people may get the good effects of Blue Sapphire on this earth. It is also said that Blue Sapphire gives effects with in few hours to wearer. According to my view it is wrong , as the Saturn is the slowest planet in Zodiac. It takes at least 30 years to complete the circle of twelve Rashies. It means it takes two and a half year in a Rashi. Planet Moon takes only a month to complite the circle of twelve Rashies, it means it the fastest planet. So tell me how a slowest planets Gemstone can give you the results with in few hours. Any Gemstone can take few months to give the results to wearer. Superfine quality Blue Sapphire are from Jammu and Kashmire. It is not posible to find the original Kashmir Blue Sapphire Now a Days, and if found everybody can not purchase the kashmir Blue Sapphire as it is the most expensive Blue Sapphire on earth. Blue Sapphire is also found from Shree Lanka. It is easely available in Markets, Its price range starts from INR 1000.00 to 100000.00 per carat, for good effects you should wear at least INR 3000.00 per carat. If you want to wear a Blue sapphire Gemstone, you can wear a 3 to 6 carats Blue sapphire. Transparent Blue sapphire of Ceylon will give best results according to my experience. Make in gold or silver ring and wear it in the morning of any Saturday during Shukla Paksha, wear it in the middle finger. For Purification and activate the gemstone , dip the ring in milk, honey and pure water, for 20 to 30 minutes, Burn 5 incense sticks to Name of Shani Deva and pray that you are going to wear the representative gemstone Blue sapphire to have Blessings from Shani Deva. Then take out the ring from the pure water and round it up the incense sticks 11 times while speaking the mantra ॐ शं शनिश्चराय नम: after the mantra you can wear it in your middle finger. Blue sapphire will give effects within 60 days after wearing and till 4 years it will give full effects, after that it becomes inactive, You must change your gemstone after inactivation. For good results you can wear a Ceylon Blue sapphire. Cheap and bad gemstones can produce malefic results. In which finger Blue sapphire – Neelam should be worn according to astrology? According to astrology generally blue sapphire should be worn in Middle finger of right hand. what day and time blue sapphire – neelam should be worn ? for good astrological effects, one should wear blue sapphire- neelam on Saturday morning between 5 am to 7 am. in shukla puksha days. In which mettle one should wear blue sapphire – neelam? for best results blue sapphire – neelam should be worn in gold but if you can’t afford gold, you can make it in punch dhatu [ five mettle] also. 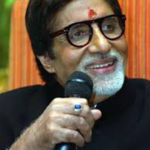 Is it must to activate the blue sapphire – neelam before wearing ? Without activating the blue sapphire – neelam with right astrological process may give bad effects. So it is must to activate the blue sapphire by Shani Mantras before wearing. Blue Sapphire are found in, , Burma, Cambodia, China, Colombia, Kenya, Madagascar, Malawi, Nepal, Nigeria, Australia, Pakistan, Sri Lanka, Afghanistan, Myanmar Tajikistan, Tanzania, Thailand, USA. The best quality blue sapphire is found in Kashmir, India. Blue Sapphire- Neelam Price In India. Bangkok [ Burma ]blue Sapphire price starts from INR 500 to around INR 10000 per carat in India. 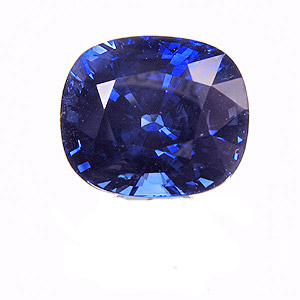 Ceylon [ Shree Lanka ] Blue Sapphire price starts from INR 5000 to INR 100000 per carat in India. How do i know if i should wear a blue sapphire gemstone or not? You must wear any gemstone only after consulting an expert, you must check your horoscope by an experienced astrologer before wearing a blue sapphire gemstone, If you want to consult me [ Astrologer Sunil Kumar] about your gemstone recommendation, you can book your consultation now.